Oil prices rose on Thursday, extending gains from the previous session following a large draw in U.S. gasoline inventories and a big drop in the dollar since the end of July. 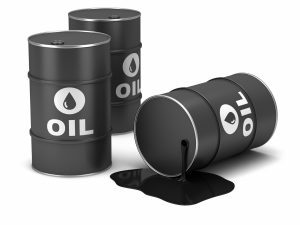 U.S. West Texas Intermediate (WTI) crude futures were trading at $41.11 per barrel at 0513 GMT, up 28 cents, or 0.7 percent, after rising 3.3 percent in the previous session. International Brent crude futures were trading at $43.28 a barrel, up 18 cents, or 0.44 percent. The gains on Wednesday and Thursday in both WTI and Brent marked at least a temporary end to a sharp downward trend that began in June and pulled some 20 percent from their values. “Oil prices rallied after the EIA weekly report showed gasoline inventories declined the most at this time of the year for at least five years,” ANZ bank said. U.S. gasoline stocks dropped 3.26 million barrels to 238.2 million barrels, according to the U.S. Energy Information Administration (EIA), against an expectation for a draw of around 200,000 barrels. Other analysts dismissed the notion that the U.S. gasoline draw was driving up crude prices globally, especially given that American crude inventories rose by 1.4 million barrels.